Note: For a heartier version of this salad, you can top it with a few fresh bay shrimp. To make dressing: In a small bowl, whisk together oil, lime juice, and shallot; add salt and pepper to taste. 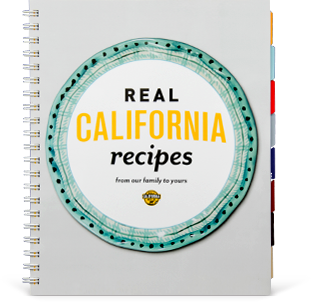 Set aside at least 30 minutes for flavors to blend. To make salad: Arrange greens on plates. 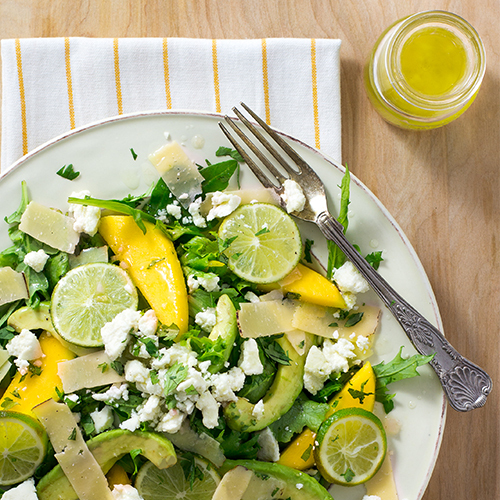 Arrange avocado, mango, and lime slices on top and drizzle with dressing. Sprinkle with queso blanco, Dry Jack, and cilantro and serve. Serves 4. Tip: A vegetable peeler works well for shaving the cheese.